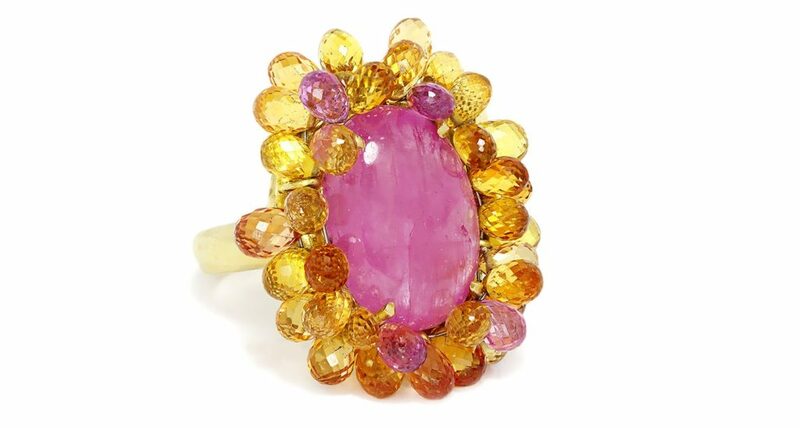 Featured is a one-of-a-kind handmade ring crafted of a heavy 18kt yellow gold exhibiting a bold oval cabochon cut natural pink sapphire at its center surrounded by a dancing cluster of briolette cut sapphires. The sapphire weighs about 15.00 carats and is absolutely gorgeous displaying natural internal striations and a beautiful depth of color. Although it does have a small chip on the surface, it’s hardly visible with the naked eye. The vibrant gem is surrounded by 37 briolette cut vivid yellow, orange and pink natural sapphire’s weighing an approximate 12.00 carats total. The sapphire’s are entangled in a wire so they are free to jiggle and flutter around the ruby which creates a vibrant colorful display. 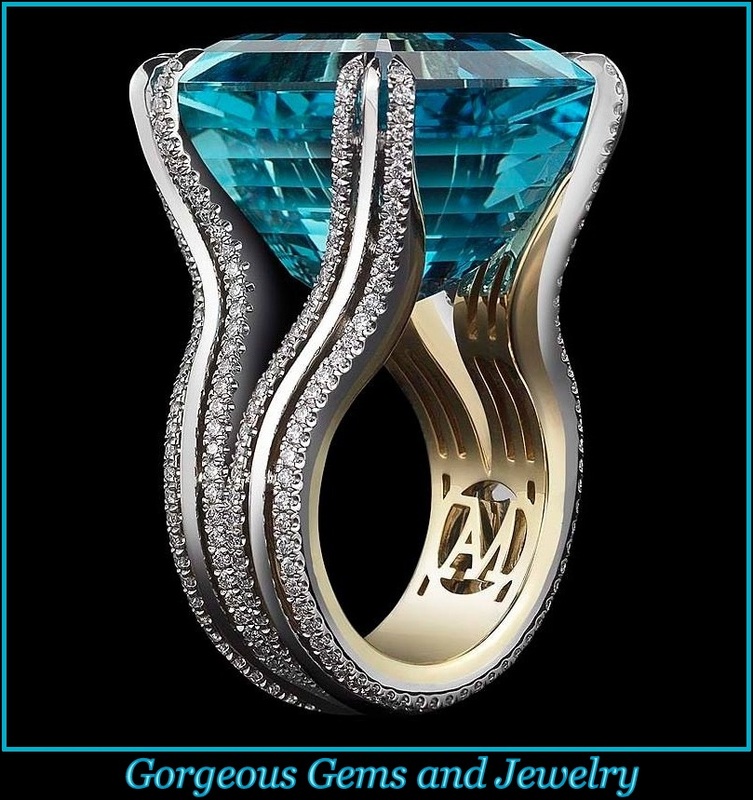 It rises 10mm above your finger and its ring face measures 29mm North to South and 25.25mm East to West. The ring weighs a whopping 20.8 grams and is currently a size 5.5, which can be resized. This unique ring is in excellent condition.